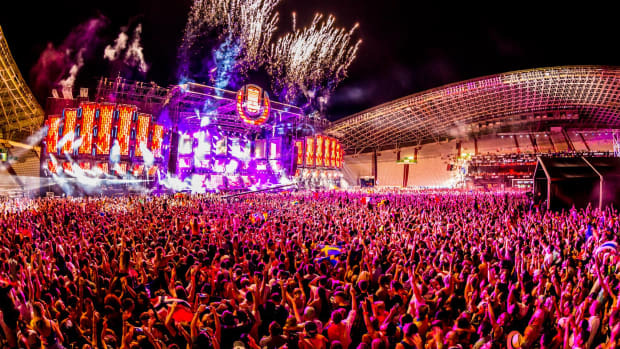 Ultra Music Festival Announces Lineup for "RESISTANCE Island"
Apparently, RESISTANCE gets an entire island at Ultra this year. 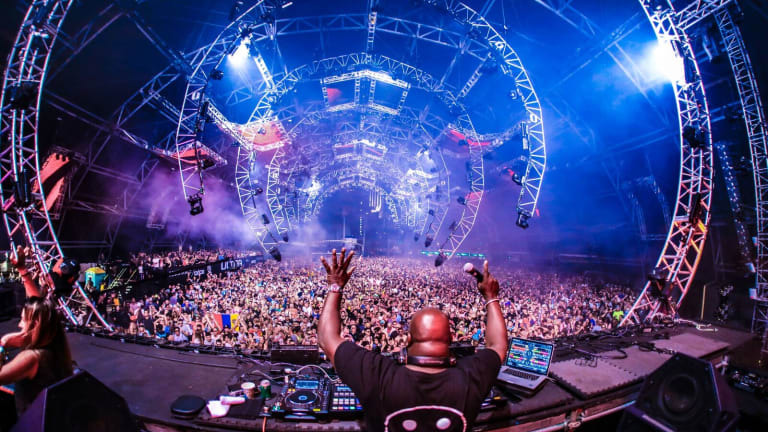 Ultra Music Festival&apos;s organizers didn&apos;t mince words when they revealed that the presence of techno/house brand RESISTANCE would expand for the 2019 edition of the festival. 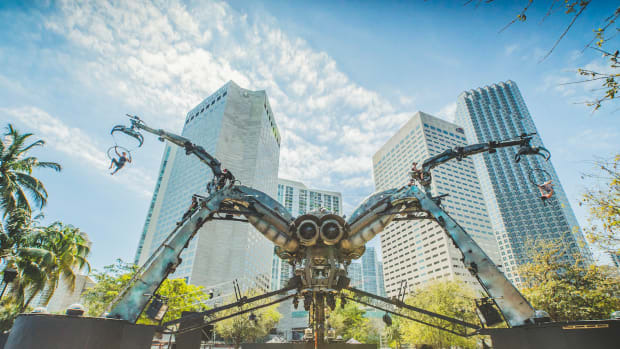 Although the Arcadia Spider stage is no more, RESISTANCE Island&apos;s lineup shows that dance music&apos;s original styles continue to hold a big place in the Miami gathering&apos;s programming. 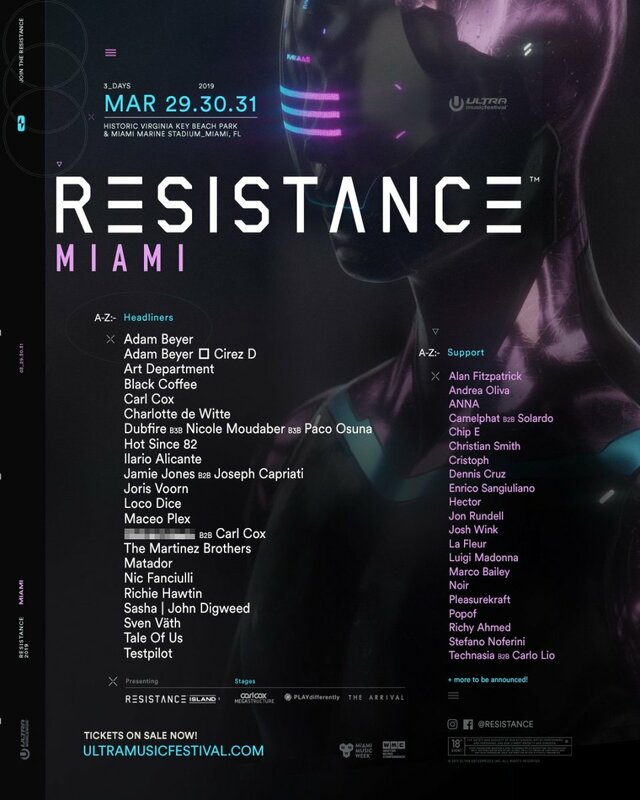 Spread across three stages, the RESISTANCE Island lineup announcement reveals techno mainstays like Adam Beyer, Richie Hawtin and Loco Dice in addition to a B2B2B between Dubfire, Nicole Moudaber and Paco Osuna. Rounding out the house end of the spectrum are Sasha & Digweed, who reunited for select B2B performances in 2016 following their 2010 split. Meeting in the middle are tech house acts like Camelphat and Carl Cox - the latter of whom will play a solo set in addition to a B2B with an as-yet-unannounced partner. More acts billed for RESISTANCE Island will be announced in the weeks leading up to the event. 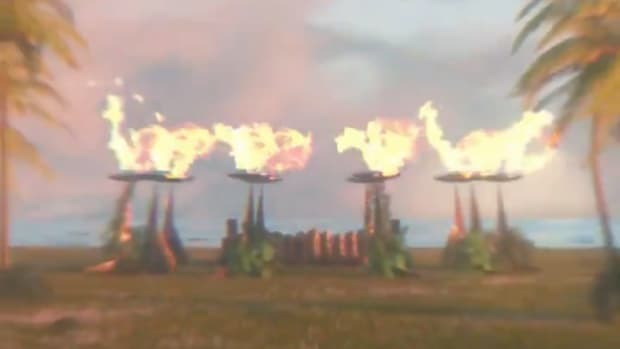 RESISTANCE Island&apos;s lineup caters to a similar niche as that of Rapture Electronic Music Festival, which was originally meant to take place in the same location on two of the same three days. 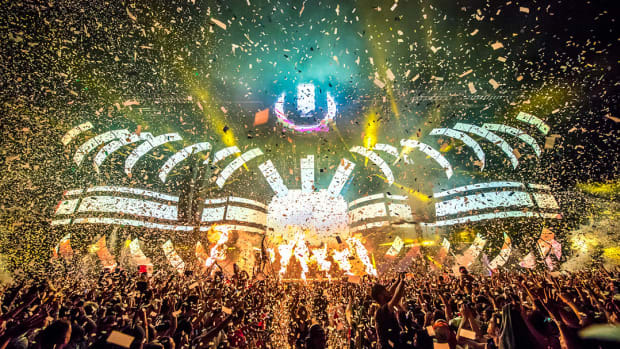 The festival&apos;s lawyers recently sent Ultra&apos;s a cease and desist letter regarding the event&apos;s controversial relocation. In light of recent announcements, it doesn&apos;t appear to have shaken their confidence that the 2019 edition will go as planned. 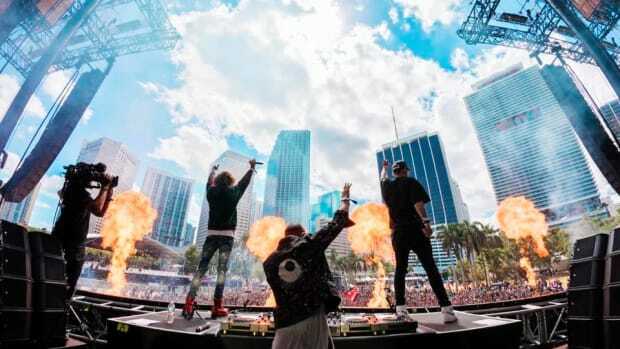 Ultra Music Festival is slated to take place on Virginia Key in Miami, Florida from March 29th-31st of 2019. For more information or to purchase tickets, visit the event website. 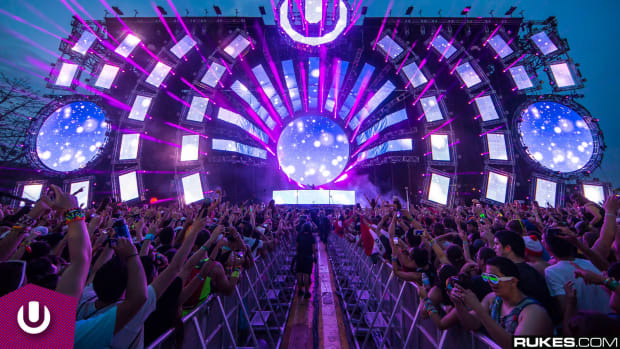 Ultra Music Festival is determined to put everyone's doubts to rest. The Arcadia Spider may be dead, but Ultra's Resistance house and techno brand lives on!